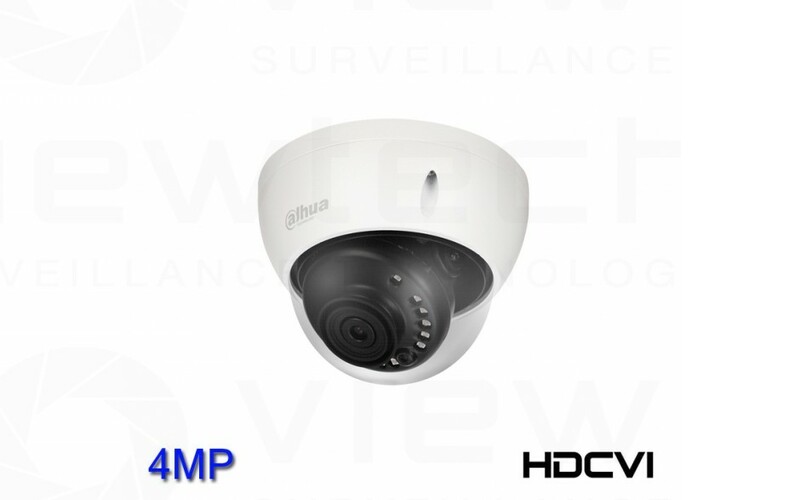 This camera features 4MP HD-CVI allowing for this ultra high resolution image to be delivered over coaxial based cable. This dome features infrared night vision for viewing in pitch black up to 30m. HD-CVI is a Dahua developed technology that allows transmission of HD video signals over standard coaxial cable of up to 450m. Transmission is completely uncompressed and is not subject to latency or bandwidth issues. the HD-SDI format allows allows the transmission of audio and PTZ control over the same coaxial cable. Low cost HD-CVI baluns even allow transmission of CAT5 or CAT6 cabling. HD-CVI is very low cost when compared with both HD-SDI and IP because the camera itself does not require the same amount of processing power (ie no onboard CPU and RAM required). HD-CVI allows a very easy upgrade from less sharp analogue CCTV (0.4MP) to crystal clear 2MP HD imaging or it can be used as a low cost method for any new installation.